33 Ponce is a small Midtown building with only 20 lofts total. It is located next door to the famous Fox Theater and the North Avenue MARTA station. The lofts have high ceilings, floor to ceiling windows, exposed ductwork, and hardwood floors. Building amenities include parking and basement storage units. 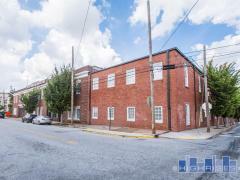 Have any comments or questions about 33 Ponce Lofts? Ask your question and/or share your thoughts about this Building.